Welcome to day 6 of the 7 Days of Apple Printables for Kids series! We’re almost done! 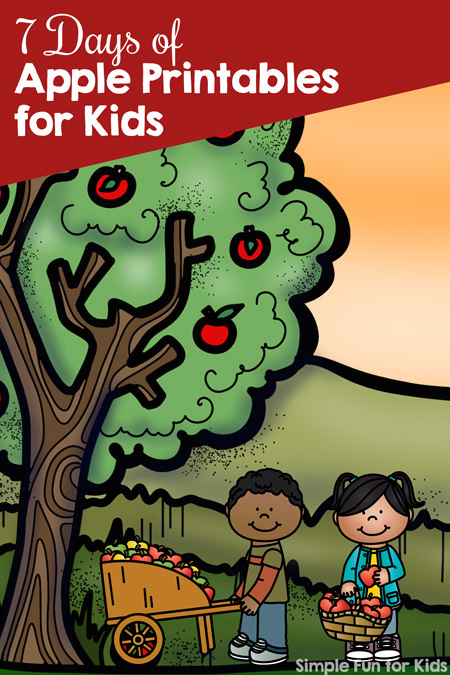 Yesterday, I had some Apple Basket Counting Puzzles for you, and today, we’re going back to literacy with a set of Kids and Apples Emergent Reader Coloring Pages. Want more font choices? The VIP version has four different fonts for each coloring page. 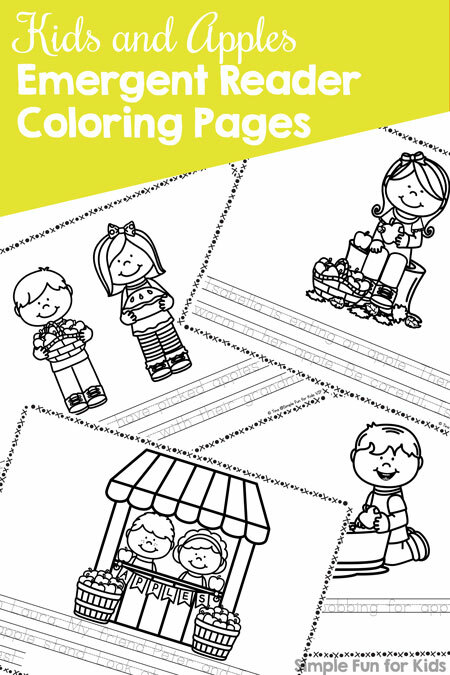 Download your Kids and Apples Emergent Reader Coloring Pages!